Countless votes. 7 finalists. 2 prizes. 1 inspired community. Inspire305 is proud to announce that our community has chosen Code/Art as its $25,000 Grand Innovator Award winner. Runner up, Mind&Melody took home the competition’s Trailblazer $10,000 Award. Congratulations to them and to all of our amazing local nonprofits who make outstanding contributions to our community. 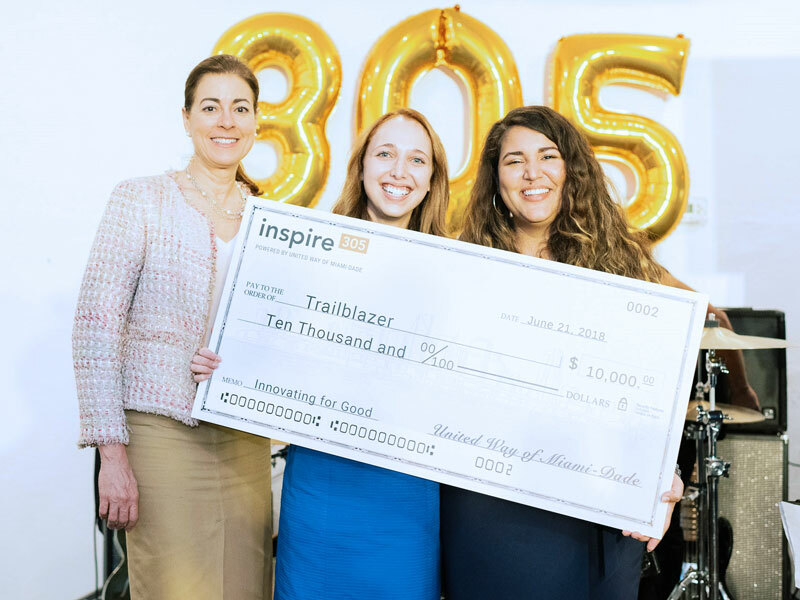 A few months ago, Inspire305, a new initiative powered by United Way of Miami-Dade, set out on a mission to inspire change by calling on our community’s innovative nonprofits to participate in a contest celebrating change makers and emerging philanthropic leaders in Miami. The response was incredible. Local nonprofits from across Miami applied and seven finalists were selected by a group of 10 United Way of Miami-Dade LINC & Young Leaders Executive Committee members. Then we enlisted the community’s help in choosing which nonprofit would make the greatest impact. Thousands voted and Code/Art was selected as this year’s Grand Innovator. Winners were celebrated at CANVAS Miami where all seven finalists had a chance to present their organizations to a live and streaming crowd. Thank you to this year’s partners, WeWork, A+E District and CANVAS Miami and to all who worked tirelessly behind the scenes to make this event unforgettable. In addition, a big thank you to an anonymous donor who contributed an extra $5,000 to each of our seven finalist! Inspiring more young women to pursue careers in computer science as a coder is the mission of Code/Art, an innovative nonprofit that uses art-based coding projects to introduce girls in grades 4-12 to coding. The nonprofit will use its Inspire305 grant to help expand its number of CodeHER after school clubs. 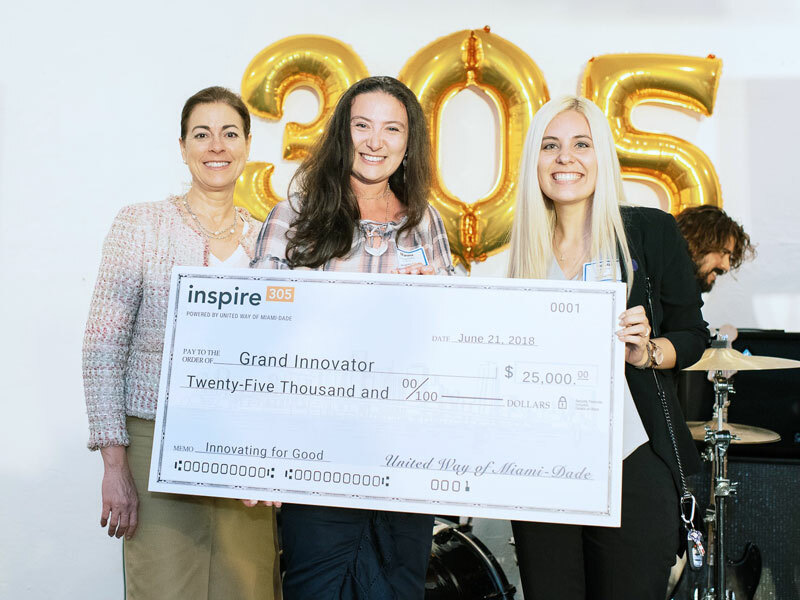 Inspire305’s runner up, Mind&Melody provides music enrichment programming to long-term healthcare facility residents with Alzheimer’s. Designed to go beyond just listening to music, the program engages participants socially, cognitively, creatively and physically. The nonprofit plans to use its $10,000 grant to expand the delivery of intergenerational musical experiences to individuals with Alzheimer’s in Miami-Dade County.